Dr. Elsie Tsui has extensive experience both as a corporate executive and a management consultant. Prior to setting up her consulting business, she has worked for the Asia office of !What If? Innovation Partner, a leading innovation consultancy, based in Shanghai. Specialising in innovation management, innovation capability building through design thinking, as well as organisation transformation strategy, she has led many high impact training workshops for the leaders from Fortune 500 companies across Europe and Asia. She has also conducted training sessions in design thinking for corporate clients and non-profit sector in Hong Kong and mainland China. Before starting her consulting career, Dr. Tsui has worked for Coca-Cola China for 8 years. As the deputy head of the Public Affairs & Communications function, Dr. Tsui has led a cross-regional team of 14 people, covering Hong Kong, Taiwan and mainland China. She was also involved in Coca-Cola’s global Olympics activations as well as setting up an in-house training and mentoring project called the PAC Institute for her team and the business partners. 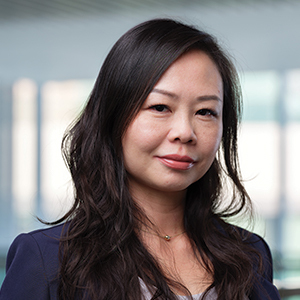 With her passion in teaching, Dr. Tsui is now teaching Social Entrepreneurship and Impact Investment course for the MBA programmes at The Chinese University of Hong Kong (CUHK). She also leads a study field trip to Silicon Valley for understanding its innovation eco-system. Meanwhile, she works part-time as a project director for CUHK Center for Entrepreneurship. Dr. Tsui majored in Sociology and minored in Journalism & Communications at The Chinese University of Hong Kong, and graduated with the first-class honours. She also holds an MBA from the Judge Business School, University of Cambridge, UK. She has received Doctor of Business Administration degree from Grenoble School of Management, researching the collaboration and learning networks of social enterprises in Hong Kong. Dr. Tsui was born in Thailand and has grown up in Hong Kong. She has worked in Hong Kong, Shanghai and London, and speaks fluent English, Cantonese, Mandarin and Thai.